The plot revolves around saving a girl who will be killed on a webcam if she isn’t found within 30 minutes. All six 5 minute episodes of the series can be streamed now. 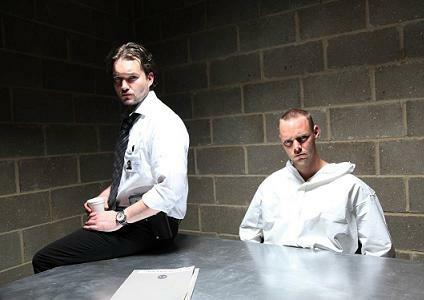 Actor Gareth David Lloyed (of Torchwood fame) plays a detective who goes into a interrogation room to get a confession out of a serial killer for the murder of a group of girls; little does he know that the killer has had another locked up in case he was captured. The series isn’t for everyone as there is a 15+ age disclaimer before every episode. In fact, within the first 30 seconds of the first episode, 3 f-bombs are dropped. Want to get away from the drab of drama? Check out The Videomakers… its a satirical comedy spoofing the ins and outs of reality and nonfiction TV production…. http://www.thevideomakers.tv !! !